Here’s a well known weird (and rare) indy bottling of Bruichladdich. This was bottled in Germany as two different bottlings. Both spent time in a single bourbon cask and a single sherry cask with half being bottled and the other half spending an additional 3 months in a salted herring cask! Nose: Ozone and salty air. Sour cranberries in custard with dried apricots. Thick treacle and golden syrup. A whisper of mint fondant. Palate: Vanilla custard and bursting fresh raspberries with salt, and a light hint of peaty earth. Chocolate and espresso grounds and some juicy spiced sultanas. Finish: Creamy with black pepper and dessert spices. Mmmmm this is a lovely Bruichladdich. Creamy, fruity, salty and sweet. Classic. Nose: Much oilier and dirtier. Salty wet leather. A little vanilla but the fruit notes are gone. Palate: Nicer than I expected! Salty and maritime still but sweet with toffee and vanilla notes. Very oaky. Finish: Drying and leathery with no hint of fish at all. Spicy wood flavours. Slightly ashy. So the fish barrel didn’t ruin the whisky but the wood definitely imparted a strong influence, very similar to virgin oak matured whiskies. Surprisingly good! 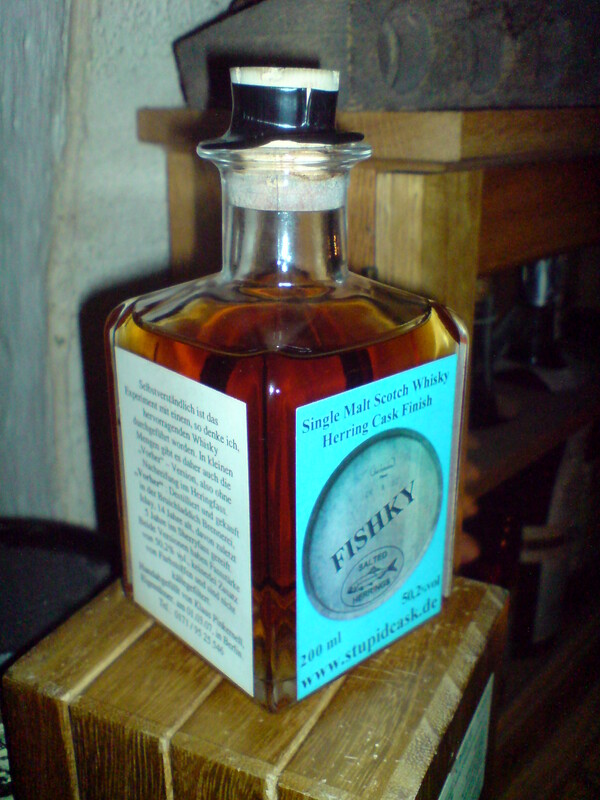 The pre-fish is the winner for me though, in spite of how surprisingly drinkable the fish cask is. The pre-fish is fruitier and much more delicate and interesting.